Summer Camps – Registration is Open! We are excited to announce some BRAND NEW youth multi-sport summer camps this year! For more details check out the link below. We are excited to host a variety of multi-sport summer day camps throughout the city! A big announcement is coming tomorrow with all the details. 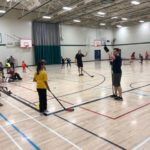 Back by popular request – we are hosting another intro session for youth ball hockey! These session are hosted in partnership with Dampy Brar and APNA Hockey School. 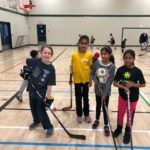 Your kids will learn the basic skills and techniques to play ball hockey while having fun and making new friends! To register or find more info, follow this link. Looking to get the same colour of shirts for your team? Take a look at these great new workout shirts! Men’s and women’s shirts available! Orders must be submitted by May 26 and can be picked up on June 8. Encore is back this summer! More partners to be announced shortly! Special guest and former Calgary Flame Rhett Warrener will also be joining us for the tournament! For more details visit the Encore website. 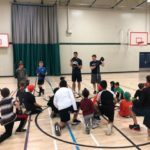 Do you have a passion for working with youth in a sports environment? 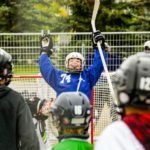 Western Ball Hockey is looking for 2-3 individuals with prior coaching experience who are interested in working with kids in the WBHL Youth Program. This programs typically runs on Tuesdays, Thursdays, and Saturdays. 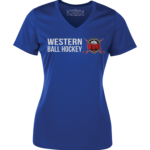 Send an email to mark@westernballhockey.com for more details. 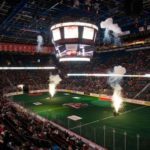 We’ve got discounted group tickets for the Calgary Roughnecks’ final regular season game! The Roughnecks are hosting a very special fan appreciation night with some amazing offers coming at the fans! 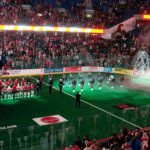 Bring your kids to the Calgary Roughnecks game on Saturday, April 20 @ 7:00 pm with our Western Ball Hockey League crew and up to 20 kids ages 10-18 will get to head down to the field to hold the flags for the Roughnecks opening ceremony! This is a smaller event for us, so call or text Mark @ 587-777-0501 for more details. Registration for our youth and co-ed programs is now open! 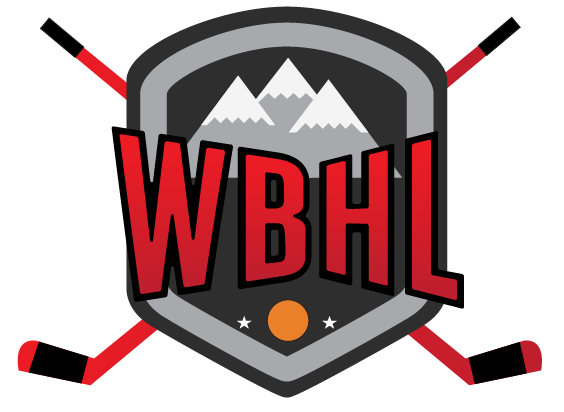 Registration for our men’s and women’s leagues will be coming shortly. Click on register at the top of this page to view available leagues, divisions, and days. Don’t forget to pick up some tickets to the Roughnecks game on St. Patrick’s Day! 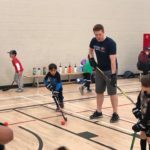 It’s bundled together with a ball hockey experience in the Saddledome this spring! If you have questions on that email mark@westernballhockey.com.